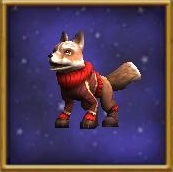 KingsIsle is no stranger to the Make-A-Wish foundation. Not only have they put a smile on players’ faces like Ryan the Relentless, Allan GhostDust, Daniel, and Brandon, but they also have a shiny Make-A-Wish award for all that they’ve done. 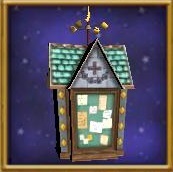 Last Wednesday unveiled yet another wish come true for one of KingsIsle’s most avid fans. During KI Live, Derrick Blaze was welcomed into the spiral. 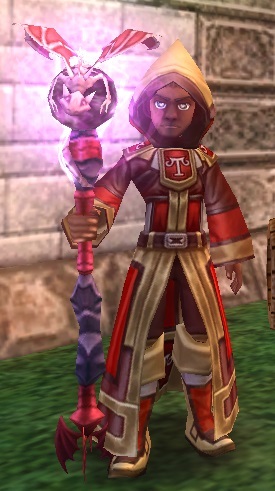 Derrick Blaze is the character of KingsIsle’s newest Make-A-Wish VIP, Derrick Lawrence. Although Derrick’s voice acting skills can be heard in Empyrea part 1, his presence is most felt through a new NPC in Olde Town. It turns out that Derrick loves helping people (high five, Derrick!) and his character now supplies the introductory quest to the Join a Team kiosk. 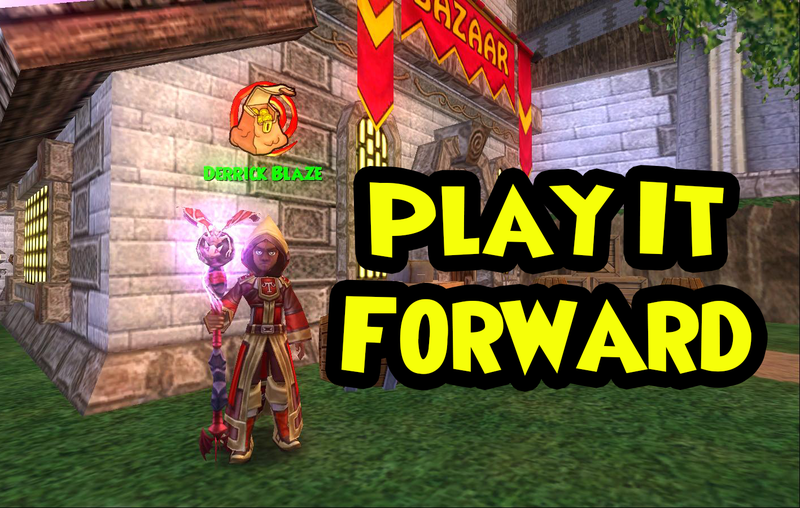 Derrick’s new quest (appropriately named “Play it Forward”) can be obtained by speaking with Derrick Blaze in Olde Town. The dialogue introduces you to Derrick, stresses the importance of teamwork, and explains a little bit about the Join a Team kiosk. After helping someone through the Join a Team kiosk, you can return to Derrick to complete the quest. But that’s not all! Derrick offers some special goodies to the people who have proven to be team players. And lastly, a new jade-inspired balance themed gear set is available. This gear set offers no stats and is intended to be a stitch set. 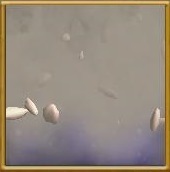 I think it’s fantastic that Derrick was able to visit KingsIsle and hopefully, his kindness and willingness to help others will spread through these new Join a Team incentives.